With the healthcare market looking more like the retail industry every single day, it appears that the prescription for healthcare marketers is to approach patients like retail consumers. The Futurescan 2016-2021 showed that consumers are now literally shopping for healthcare services, medical providers, and insurance plans. They want to fully understand what to expect from every provider and service before making their final decisions. 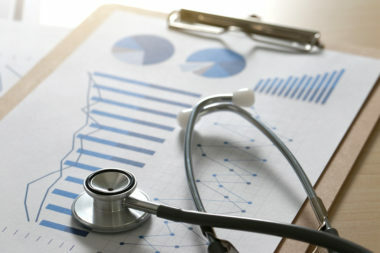 MarketingProfs.com reported on the dynamics of this patient behavioral shift and savvy healthcare marketers are finding the ideal remedies. A 2013 Pew Research Center study revealed that 72% of Internet users were searching online for healthcare information. Patients appreciated the large amount of information found on online, ranging from provider ratings to patient reviews and prices. This information was being used to help patients make informed decisions about their health. The Futurescan report shows this online trend has continued and strengthened as patients have much more online information at their fingertips. 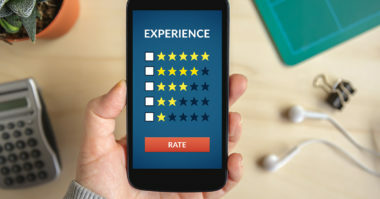 Patient are placing a great deal of importance on patient reviews today, so healthcare marketers should highlight their positive patient experience by including patient testimonials and reviews throughout their marketing content to attract new patients and distinguish the brand or provider. Healthcare’s shift to an online retail model for patient decision-making needs to include a mobile element to ensure widespread reach and exposure. After all, mobile is growing every day and has quickly become ubiquitous because it offers great patient convenience. Patients are now conducting health research on the go through their mobile devices. 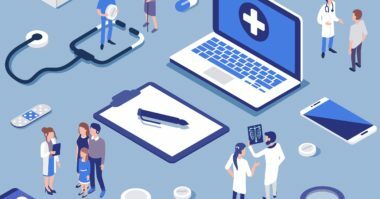 As a result, many healthcare marketers have made mobile a top priority and are pursuing creative partnerships to provide patients with more engaging mobile content. Research has shown that the online and mobile experiences offered by healthcare brands and providers during the research phase gives patients a glimpse of what they can expect from them. This is why it’s essential for healthcare marketers to deliver the most positive online and mobile experiences possible. Patients are hungrier than ever for information about medications and healthcare services. All of this information can be easily accessed online. The growth of patient dependence on online research has given digital influencers an important role in doctor-patient conversations because they strongly influence the questions that patients ask and the specifics they discuss. For instance, an influencer may share their positive personal experience with a certain medication, which compels a patient to ask their doctor about whether the medication would benefit them. Influencers can also be used by healthcare brands and providers to generate patient awareness and advocacy for medications, healthcare products and services, and even providers themselves. A positive endorsement from an influencer can hold a great deal of clout with patients looking for an honest review of the patient experience offered. The way to make the most of an influencer is by targeting their use to the appropriate patient market. It’s better to choose influencers often featured in niche publications and websites that reach the target patient audience, rather than looking for the ones who simply have the highest number of followers. Get a healthy view of healthcare marketing. Contact MDG Advertising.